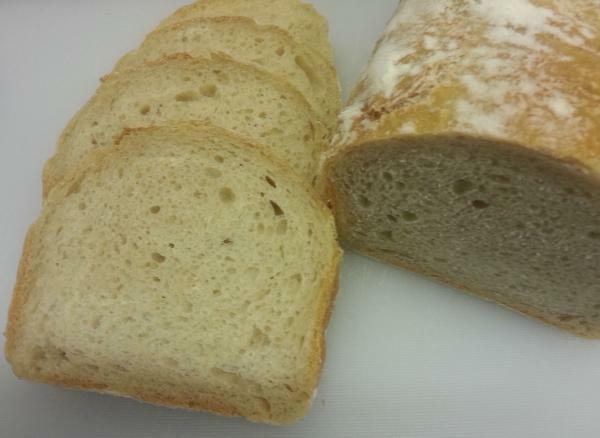 Only wheat flour, a little bit of yeast,salt,water and patience used for creating this plain Sour Dough Bread. Like with all our bread we baking with baking paper in tins. And that's it. Use it for 4-5 days if kept in dry storage and enjoy it toasted.